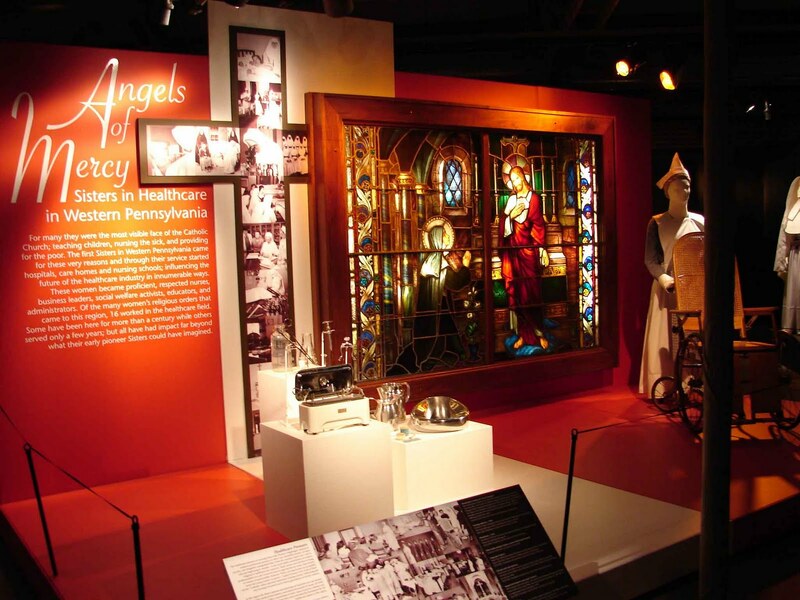 The Sisters of Charity of Nazareth are proud to be part of the Heinz History Museum’s Angels of Mercy healthcare exhibit. The exhibit has been extended until June 30. The “Sisters in Healthcare History Project” documents the work of 16 local orders from 1847 to 1969. It features artifacts from 19th century habits to a crutch used by a soldier wounded in the Civil War. It shows the sisters as medical pioneers who built the region’s first hospital, invented life-saving devices and made healthcare available to the poor. It is also a story of regional disasters, as the sisters responded to epidemics, floods and battles of the Civil War.